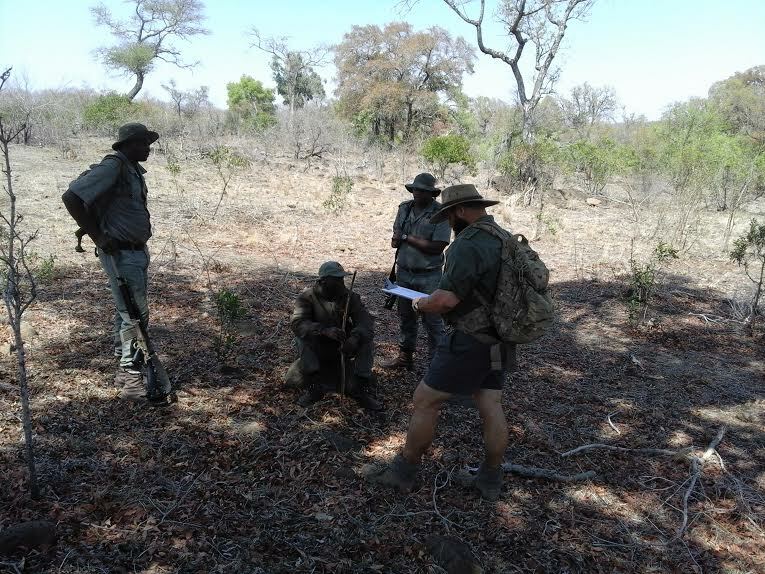 $2370.00 usd to human tracker training— We received a plea for help from a ranger who was part of a smaller APU in southern Kruger. 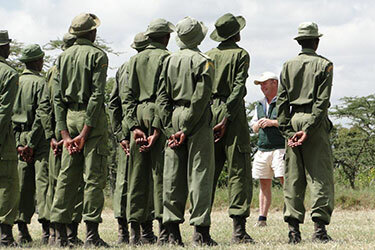 They had been hit by the poaching of rhino in their area and felt they needed to be better equipped to prevent being hit again. We were able to provide human tracker training where they learned more about early detection in suspicious human activity, (i.e. poaching camps, tracks, snares) apprehension of suspicious individuals,and gathering intelligence and evidence. Some of the APU involved in tracker training. $5500.00 usd to APU canine training–The centre specializes in cheetahs and various wildlife rehabilitation, but with the large number of rhinos being poached, there is a huge need for help rehabilitating the rhino orphans. Having taken in several rhinos, the need for increased security includes initiating a canine unit for their APU. We started with Chloe, one of the APU dogs for the entire Kapama area (of which HESC is a part). 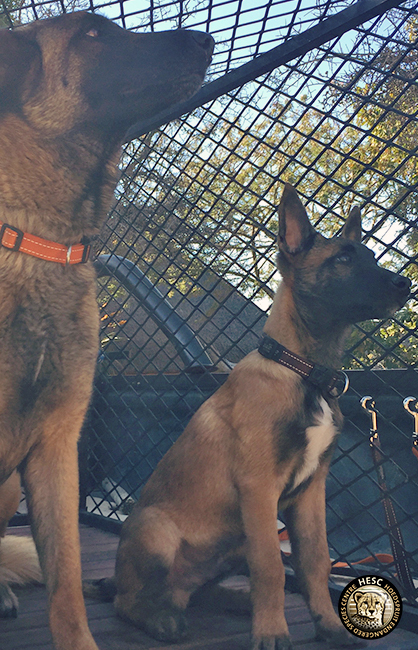 From there, we were able to help with HESC’s own canine unit, including Zee and Bullet. The training includes the advanced levels for all dogs, including a trainer from the Centre who will accompany them. 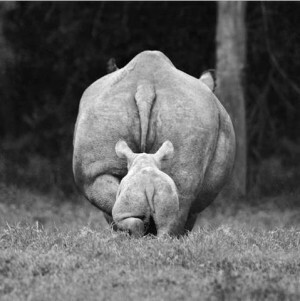 $3000.00 usd to anti-poaching supplies— Home to the largest black rhino sanctuary in east Africa, as well as the last three Northern White Rhinos on the planet, security is probably THE most urgent need for Ol Pejeta. Everything from boots and tents to training and upgrades are needed to benefit the APUs. (More details to follow). OPC rangers take part in regular trainings to keep their skills sharp. Thank you for fighting with us in this poaching war. Your donations are not taken lightly. 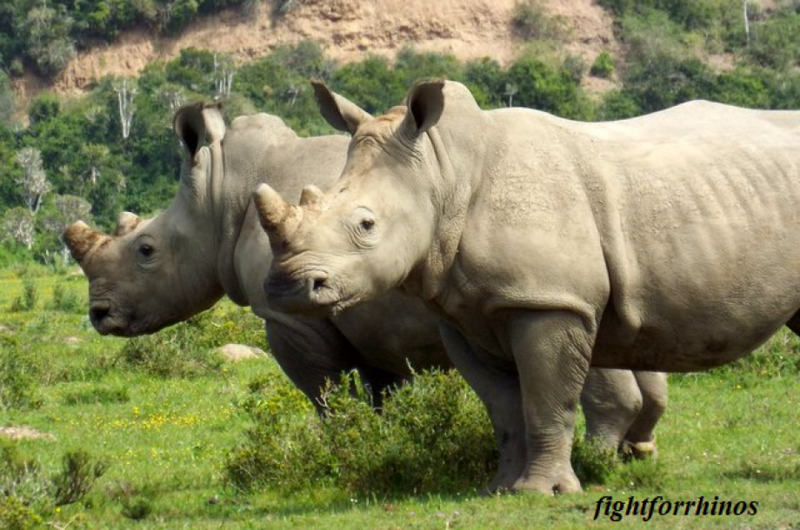 For each amount given leads to action taken to protect rhinos and to keep rangers safe. Please continue to work with us, together we ARE making a difference!